"This year's Street Art Festival is shifting yet to another level as Wild Drawing, one of the top ten graffiti artists in the world, is coming from Bali. 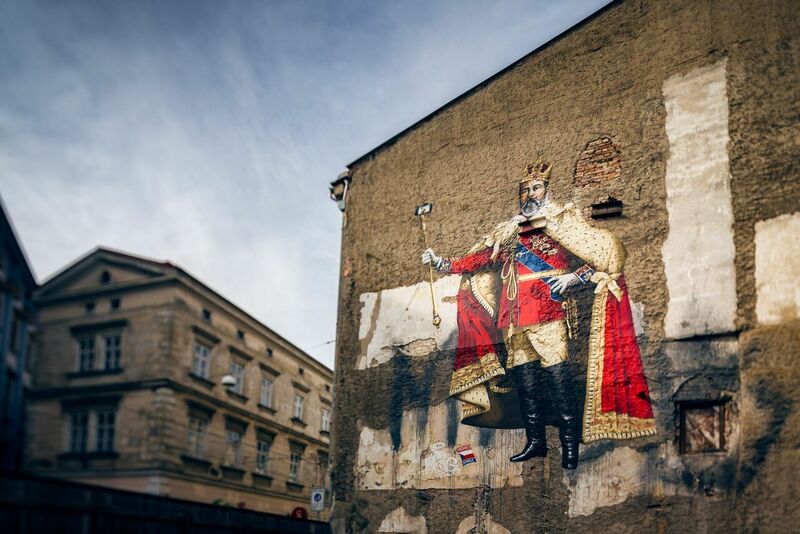 The main mural will be created on the Passinger Mill directly in the centre of Olomouc. That will be really exciting and something worth looking forward to," says Tom enthusiastically. But how does one organize an event such as the Street Art Festival? "It always depends on the number of sponsors and partners. There must be an interesting public space where murals can be created. And then, of course, plenty of interesting accompanying events, such as at Palacký University or the Metropol Cinema. There will be a lecture on Street Art by Pasta Oner (the Czech artist and writer). There will be an exhibition in the design hostel Long Story Short," says the organizer. Every year, the organising team tries to negotiate with its indispensable partners and sponsors "As far as spray paints are concerned, we have great support from Molotow with whom I have been working for many years. Another of the biggest costs is the rental charge for the access platforms – so we have been trying for years to find a partner to supply them but no one has yet appeared..."
A gallery in Olomouc may provide a venue to display various works of art during the festival week. "Graffiti artist" is an official English name. "Writer" here refers to people from the graffiti community – a person who writes on something, whom you could call the "marker". From a historical perspective, graffiti date back to prehistoric times when cave paintings could be considered public works of art. In antiquity, graffiti was found within the Roman Empire (examples of it are still preserved at Pompei, for example). 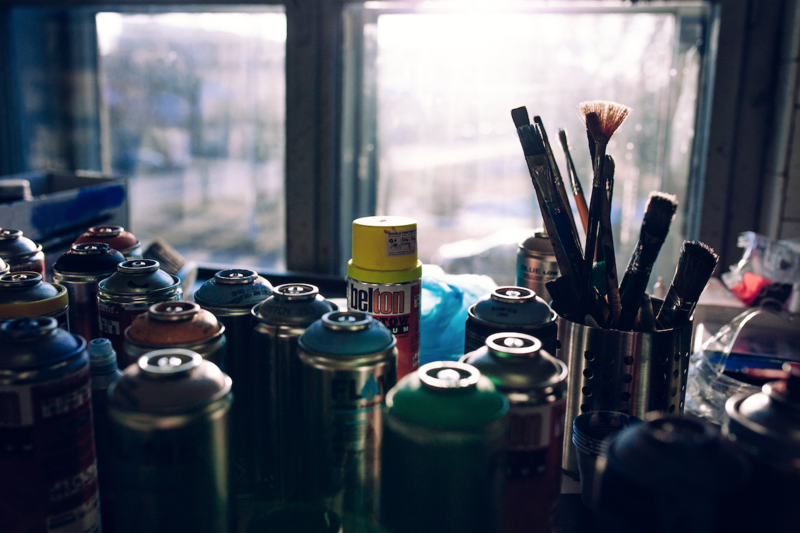 Graffiti can be found in the form of anonymous scribbles on plaster walls mostly represented by swear words, amorous declarations or brothel advertisements. The legend of the emergence of contemporary graffiti harks back to New York in the late 1960s where a certain Demetrius of Greek origin nicknamed "Taki" noticed an inscription "Julio 204" – derived from the name and street of the author 's address (204th Street in New York). Demetrius, a postman, enjoyed this joke and became the author of "Taki 183" signatures in countless areas. The New York Times reported on his intense activities in 1971 and Demetrius became a model for his followers in the creation of signatures (or tags). “I did my first graff back in 1996 – from today’s point of view, it would be a completely horrible work that I created on a wall. It was the first time we tried it – we did some sketches on paper and we spent about three hours on the spot because our spray paints did not work well. We did not even have proper caps for the spray paints, so it was all rather painful," says Tom Junker amusedly. At that time novice writers had no idea about the preparation process. He and his friend would draw something in a notepad and then they would go out onto the streets. If they saw a suitable wall, they painted it. “Usually, I have some sketches I'd like to paint somewhere, or if I have a wall that is suitable for graffiti in size and format, then I think of something to paint according to the shape of the wall and I paint it. Nowadays, iPad Pro helps me greatly with the preparations – I have started to work better with colours thanks to my iPad. I used just to sketch on paper. I always had my sketchbook on me and, whenever an idea came up, I sketched it." 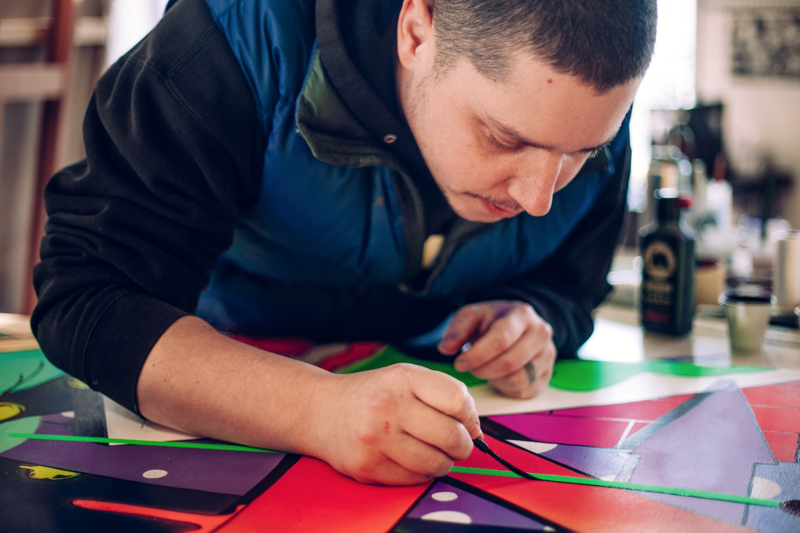 Although Tom Junker makes his living by designing applications and creating websites, he has already exhibited his graffiti paintings in various European capitals - for example, at the Sorbonne in Paris and in Hamburg. The latest exhibition of Tom’s works was part of a group exhibition at London's Oxo Tower Wharf Gallery. "It was such a hectic event – when I found out I could participate in this exhibit, I prepared four new screens. And, as I knew it was not just street art, I wanted to make my exhibition clearer so it was not purely static. Therefore, I combined my paintings with so-called augmented reality when one can view the picture over the phone and see the animation. It actually links to my work creating iPhone apps. At first, I painted the canvas, then I painted over it digitally and eventually made an animation from it. It works basically like a QR code – the application recognises the image and the animation starts. At the show in London, there was an iPad on a stand during the whole time allowing people to see the animation. It was interesting to follow the reactions of different people – it was most appreciated by older visitors and some people started to laugh when they noticed the animation. I received positive feedback from other artists who participated in this exhibition. Nobody had anything like it,” the talented artist says modestly. Tom takes inspiration from all around him: "My children often inspire me. Little Betka had to draw a spider that began to amuse me and to appear frequently in my paintings. Recently, I was also preoccupied with the witch in Snow White that I was frightened of as a little boy. Many influences also come from music, most of all from Michael Jackson, – I listen to him all the time – and also rap, funk, soul and all these older things..."
One of the first graffiti he created during his childhood was with his cousin at their grandfather's garage when they found some Skoda car paint sprays. 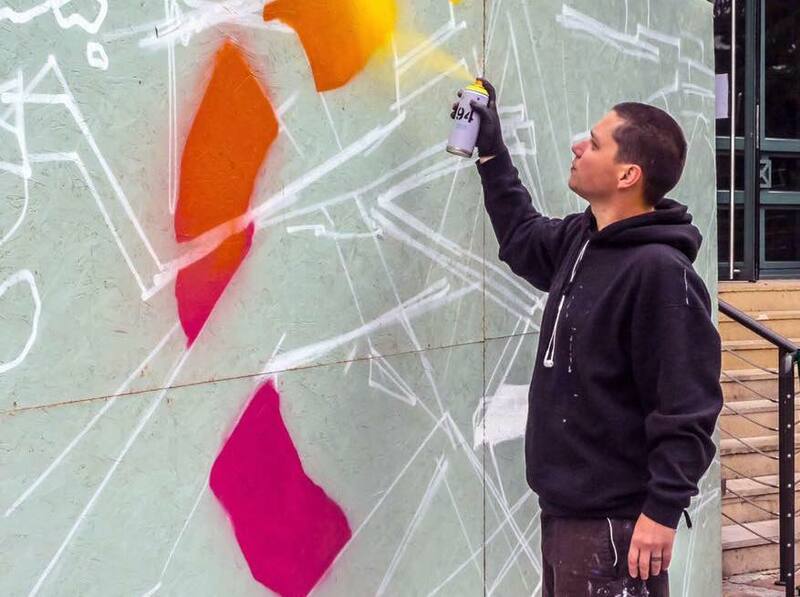 Today, Tom Junker (artistic name "Pauser") travels around the world, painting customised graffiti and exhibiting in various galleries. Learn more about all of Tom's projects here or on Instagram. Big thanks to Amanda Martin for editing and proofreading the english version of the article.